Due to huge demand Foil, Arms & Hog have announced an extra date at Vicar St on 20 June with their brilliant new show Craicling. 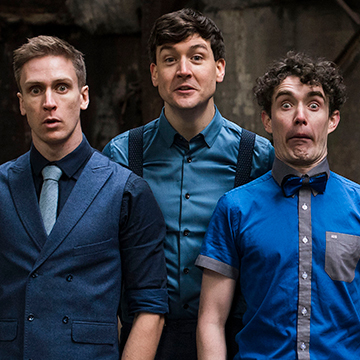 Former children and regular eaters Foil, Arms & Hog return to Vicar St with their new show. Craicling is a fast-paced sketch show featuring a class on how to hold a baby, a Gregorian chant about life as a monk and the assassination of a classically trained actor. Best known for their YouTube videos (100 million online hits), their live show is what they’re most proud of. Tickets priced €29.50 are on sale now through www.ticketmaster.ie & usual outlets nationwide.